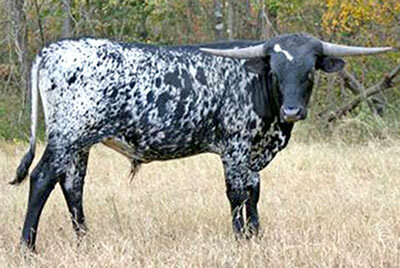 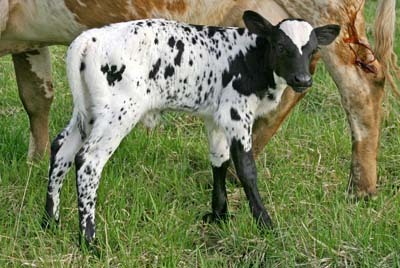 Over Kill Sire, Over Head was the first over 6' black spotted TL bull. Over Kill's dam, "Field Of Pearls" was twice ITLA International Champion. 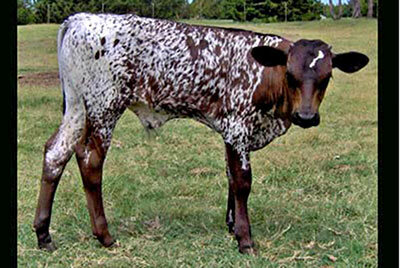 She produced Tempter 87 inches; World Champion Dragon Pearl, News Flash, Finish Line and Super Fielder. 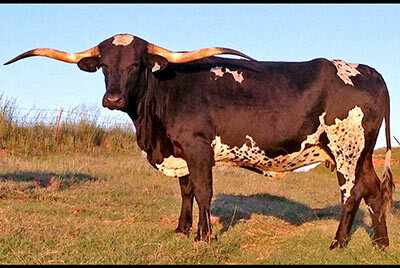 OVER KILL is the leading sire of black base bulls in history. 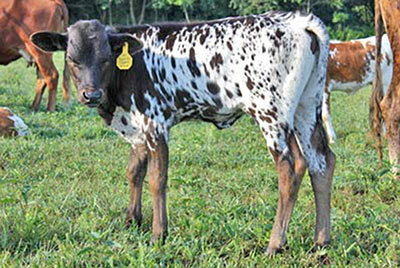 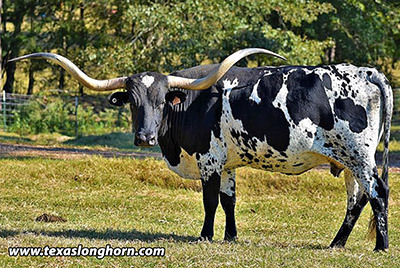 He is well respected for siring 70% black base progeny and low twisted horn shapes. 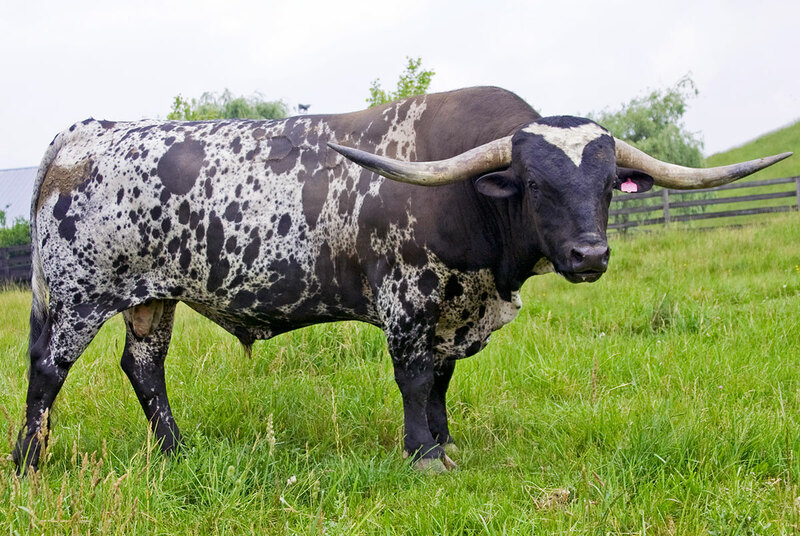 Due to a back injury suffered during his vigorous dedication to multiple services, he is no longer the senior sire at DCC. 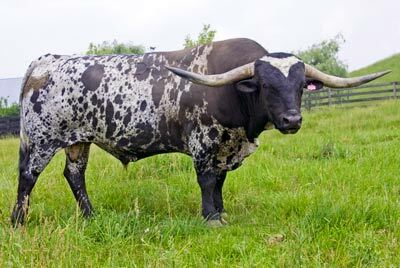 To add black flamboyant color, a 2100 lb beef body, and smooth correct conformation, he started a very profitable family of cattle. 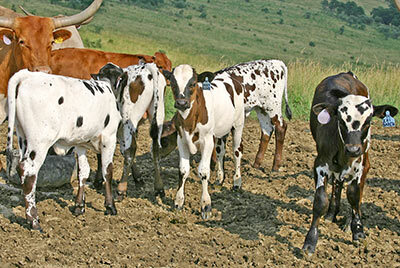 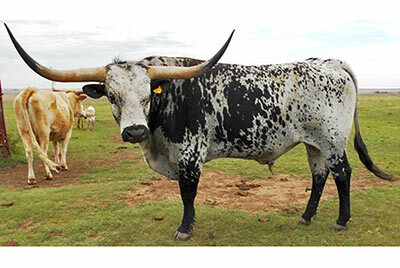 Owner: Beaver Creek Cattle Co. 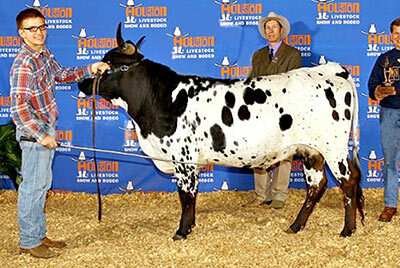 This is Kilo-watt, by Over Kill, Grand Champion Female at the 2014 Houston Stock Show.